Completion of Bangladesh Higher Secondary Certificate (HSC) with a minimum Grade Point average of 4.0 (70-79%) – separate evidence or English competency is required. Completion of All India Secondary School Certificate awarded by Central Board of Secondary Education with an average of 60% in four subjects, one of which must be English (60% or better) or with separate evidence of competence in English. Successful completion of Ijazah Sekolah Menengah Atas (SMA) (Certificate of Completion from Academic Senior Secondary School) with an overall average grade of at least 8.0 and at last an overall grade of 8.0 from the Surat Keterangan Hasil Ujian Nasional (SKHUN) (Certificate of Graduation) with separate evidence of English required OR Successful completion of Ijazah Sekolah Menengah Atas (SMA) (Certificate of Completion from Academic Senior Secondary School) with an overall average grade of at least 80%, with evidence of passing the Ujian Nasional (National Examinations) in meet Curtin’s minimum academic entry requirement, with separate evidence of English required OR completion of one or two years of a bachelor degree at a recognised institution and English competence. Successful completion of first year of a Gakushi (Bachelor’s degree) at a recognised institution – separate evidence of English competence is required. Completion of the Kenya Certificate of Education (KCE) with a pass with credit (grade 6 or better) in three subjects and two passes (min of one C and one D grade) in the Kenya Advanced Certificate of Education (KACE) managed by the Kenya National Examinations Council- separate evidence of English competence is required. Two ‘Advanced’ Level passes (minimum of 5 points) in the Cambridge Higher School Certificate (CHSC) GCE ‘A’ Level; and a grade C or better in ‘O’ level English, English Literature of English Language OR Successful completion of the Charles Telfair Institute, Foundation Studies Program – separate evidence of English is not required. Successful completion of two years full-time study of a three years Bachelor degree (in in arts, economics, commerce and management, foreign languages, and science (including computer science) OR Successful completion of one year full-time study of a four years Bachelor degree (in community health, education, law, nursing, paramedical sciences, pharmacy, technology (including computer technology and nautical technology) at a recognised institution – separate evidence of English competence is required. Completion of one year full-time study of a four years Bachelor, or two years full-time study of a three years Bachelor from a recognized higher education institution, separate evidence of English competence is required OR Successful completion of Higher Secondary Education Board Examination (HSC) awarded by the Higher Secondary Education Board with at least 68% of the Grand Total score (i.e. 680 out of 1000) in meeting Curtin’s minimum academic entry criteria. Successful completion of one year of a degree at a recognised institution – separate evidence of English competence is required. Successful completion of one year of a four years full-time Bakalavr at a State institution or fully accredited private institution – separate evidence of English competence is required. Completion of High School Diploma with a score of 300 (75%) in the National University Entrance Examination (College Scholastic Ability Test) (CSAT) – separate evidence of English competence is required. Completion of at least two General Certificate of Education (GCE) Advanced (A2) level subjects from a United Kingdom examination authority (AQA, Pearson Edexcel, OCR, WJEC or CCEA) (minimum 5 points: A*=6, A=5; B=4; C=3; D=2; E=1). You must have Grade C or better in GCE O-level/GCSE English, English literature or English language, or provide separate evidence of English competence. United States High School Diploma or a High School Diploma based on a US curriculum with a GPA of 3.0 out of 4.0 (or an average grade of B) and a Total score (Evidence-based Reading and Writing section and Math section) of at least 1000 out of 1600 in the SAT from the same sitting, a minimum of 400 in Evidence-based Reading and Writing section, and 400 in Math section is required. Separate evidence of English competence is not required. This qualification does not satisfy any course prerequisites. Zimbabwe Completion of the Zimbabwe Certificate of Secondary Education Advanced Level conducted by ZIMSEC with at least two Advanced level subjects passed at Principal level (Subsidiary pass is not acceptable) and achieved the required national Australian Tertiary Admissions Rank (ATAR) using the GCE A-Level Conversion AND a Grade C or better in English subject in Zimbabwe Certificate of Secondary Education at Ordinary Level. Note: Students from countries not listed above should contact Curtin Sarawak for further details. A*=6, A=5, B=4, C=3, D=2, E=1. For admission into Curtin Malaysia, you must provide evidence of completion of a degree from a recognised university and provide evidence of English language proficiency. In addition, you may need to meet specific course pre-requisites. As all courses at Curtin malaysia are taught in English, you will need to meet Curtin’s English Language requirements based on completion of a bachelor degree course in which English was the language of instruction. This will be assessed on a case-by-case basis. Results for IELTS and TOEFL are valid for two years. *Different programmes require different IELTS results. Each application is assessed on a case-by-case basis. Applicants for Master of Philosophy must have completed a bachelor degree with first or second class honours or their equivalent; a postgraduate diploma or its equivalent; or a bachelor degree with a superior performance, together with relevant and substantial work experience. Applicants for Doctor of Philosophy must have completed a master by research degree or bachelor degree with first or upper second class honours. Applicants who have only completed a Bachelor pass degree may also be considered if they can demonstrate superior academic achievement, significant research or work experience, and the capacity to undertake significant research. Applications for higher degrees by research can be made at any time of the year. You will need to consult the Dean, Curtin malaysia Graduate School, or Faculty Postgraduate Studies Coordinator, Dean of Faculty, Head of Department or any individual academic staff member in the relevant teaching area to discuss the suitability of your proposed research topic. You will also need to meet Curtin’s entry requirements and ensure that a supervisor and facilities are available to accommodate your research. 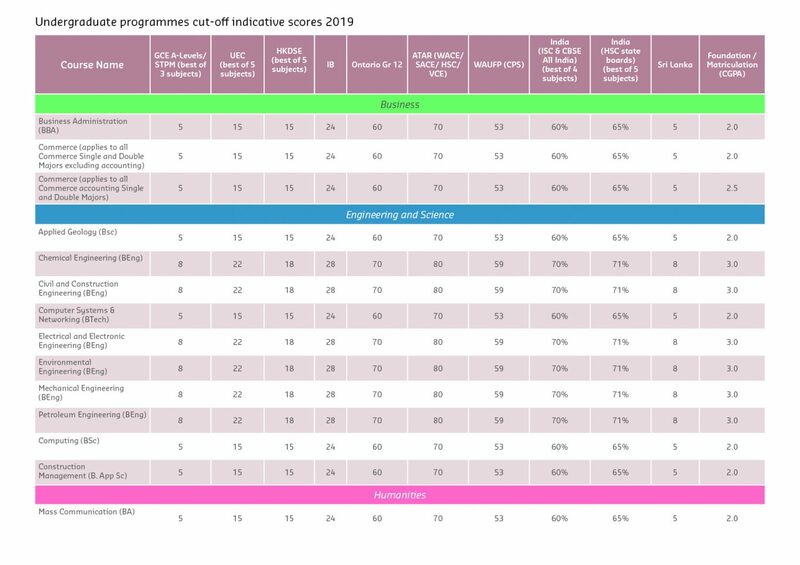 Completion of Bangladesh Secondary School Certificate (SSC) with a minimum Grade Point average of 3.5 (60-69%), separate evidence of English competency is required or GCE ‘O’ Level – credit in 5 relevant academic subjects and English competence. GCE ‘O’ Level – credit in 5 relevant academic subjects and English competence. Completion of All India Secondary School Certificate awarded by Central Board of Secondary Education with an average of 60% in foursubjects, one of which must be English (60% or better)or with separate evidence of competence in English or GCE ‘O’ Level – credit in 5 relevant academic subjects and English competency. SMA 3/SMA 2 – grade 7.0 average in 4 subjects and English competence. GCE ‘O’ Level – credit in 5 relevant academic subjects including English or 5 Credits and English Competence. Completion of Secondary School Certificate awarded by Federal Board of Intermediate and Secondary Education with average of 60% in 4 academic subjects, and at least 60% in English or GCE ‘O’ Level – credit in 5 relevant academic subjects including English or 5 Credits and English Competence. GCE ‘O’ Level 5C including English or 5C and English competency. UEC Grade B in 4 relevant academic subjects and English competency. Foundation: Applicants with IELTS 5.0 (no individual band below 4.5) are required to take the Academic English concurrently with the Foundation program. Undergraduate: Applicants with IELTS less than 6.0 but achieved 5.5 (no individual band below 5.0) are required to take Curtin University Foundation English Units. Foundation: Applicants with TOEFL less than 65 but achieved 60 (or above) are required to take the Academic English concurrently with the Foundation program. Foundation: Applicants with SPM English ‘C’ are required to take the Academic English concurrently with the Foundation program. Undergraduate: Applicants with 1119 ‘D’ are required to take Curtin University Foundation English Units. Foundation: Applicants with GCE ‘O’ Level ‘D’ are required to take the Academic English concurrently with the Foundation program. Undergraduate: Applicants with GCE ‘O’ Level ‘D’ are required to take Curtin University Foundation English Units. Foundation: Applicants with PTE Academic less than 42 but achieved 36 (or above) are required to take the Academic English concurrently with the Foundation program. 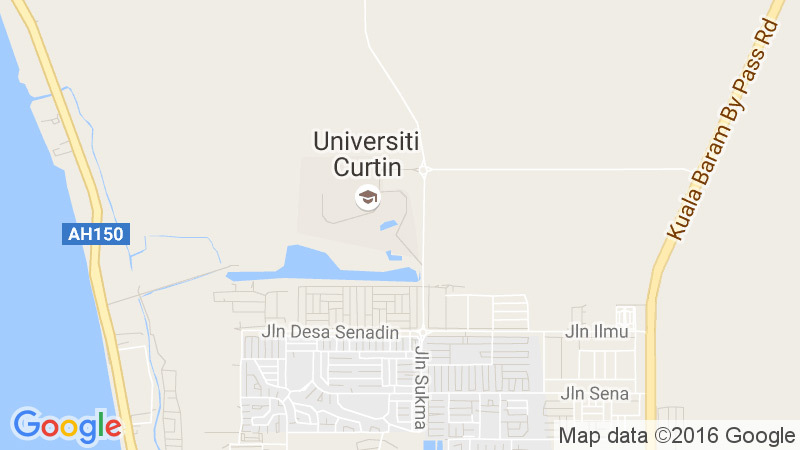 Undergraduate: Applicants with PTE Academic less than 50 but achieved 42 (or above) are required to take Curtin University Foundation English Units. Postgraduate by research may be deemed to meet Curtin’s English language requirements based on the completion of a bachelor degree course in which English is the sole language of instruction. This will be assessed on a case-by-case basis.